Kenneth Layman began welding in high school. After graduation, he gained experience working at a foundry and later at General Electric, where he would continue his career as a machinist and welder for 20 years. During his time at General Electric, Kenneth traveled the globe working on nuclear power plants. He started Layman’s Welding in 1995, running the business from a small garage behind his house. In 2002, Kenneth built a larger facility to accommodate the growing demand for his services. Evan Layman discovered his talent for plumbing in high school. As a sophomore, Evan worked for a residential/commercial plumbing company in the evenings after school, and would go on to co-op with the company for the remainder of high school. He continued working with the company for six years, gaining valuable plumbing experience for homes and restaurants, along with a variety of other plumbing services. Evan also worked for a residential-only plumber who specialized in plumbing for large homes on Smith Mountain Lake. After obtaining licensing and qualifications, Evan extended his career and knowledge joining a firm doing residential, commercial, and industrial service and remodel plumbing throughout the state of Virginia. While doing this work, he was apprenticed in the welding trade by his father and and attended PHCC in Martinsville. 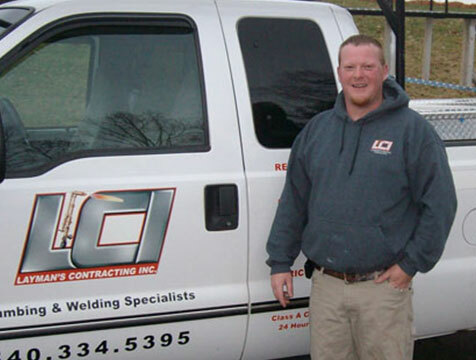 Recognizing the opportunity to offer full-service welding and plumbing services to their customers, Evan and his father Kenneth merged their trades and created Layman’s Contracting, Inc. in 2008. Every year since inception, LCI has experienced growth due to the loyalty and the relationships we have made with our clients. In 2016, Kenneth retired from LCI with 22 years of service. His integrity, commitment, and work ethic while at LCI is part of the foundation our firm still stands on today. 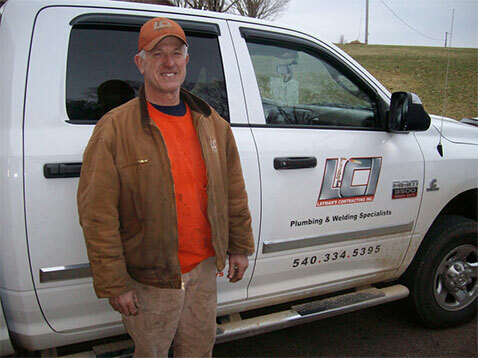 LCI is a business that focuses on residential, commercial, and industrial plumbing and welding services.